Three Dummies in a Dinghy is the third instalment of the Stories of Life series. In it, ordinary Australians share their extraordinary stories of faith and life. Some tales are humourous, others are entertaining and upbeat. But not all are happy stories. Many writers describe how they were found by a loving God in the midst of doubts and great suffering, and the circumstances don't always get easier. But the message still comes through loud and clear that God is faithful, near and active in the lives of ordinary people. We discover that there are unsung heroes of all kinds among us. With their encouragement we can open our eyes a little wider, see more clearly, and trust more deeply in the boundless kindness of our Lord. 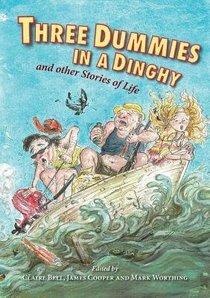 About "Three Dummies in a Dinghy: And Other Stories of Life"